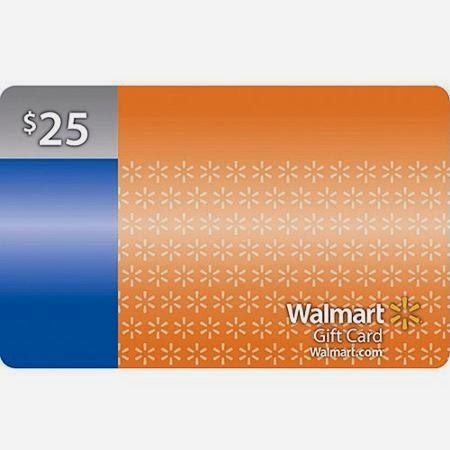 Disclosure: The Walmart gift card and information has been provided by P&G. Through April 30, 2015 you can purchase your favorite P&G products with amazing savings from Walmart. Take advantage of the limited-time rollbacks and guaranteed low prices on P&G products. Can you guess what we needed in our house? 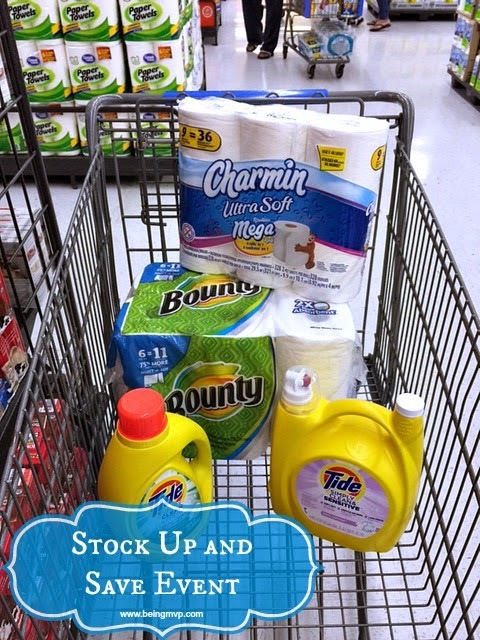 What P&G products do you need to stock up on? I would stock up on bounty. I would stock up on pampers swaddlers since I'm expecting a baby in September. I would stock up on Bounty, Charmin and Pampers. I would stock up on Tide Liquid detergent because my son plays really hard! Charmin, having 5 in our house we go through toilet paper fairly quickly! I would stock up on Swiffer Dry Sweeping Sweeper Cloths Refills - they help me get the spots that my Roomba can't get! Pampers! I have one in diapers and have a niece and nephew on the way! I would get the Charmin Bath Tissue and the Bounty Paper Towels! I would stock up on Tide and Charmin from the P&G sale. I would stock up on Tide, Bounty Charmin and more. I would stock up on Cascade liquid for the dishwasher. I would like to stock up and save on Charmin Ultra Strong Toilet Paper. I would stock up on Charmin bath tissue! We are always running out. I would stock up on Tide and pampers. I would stock up on Bounty Mega Roll Select-A-Size Paper Towels. I would stock up on all my favorite cleaning supplies. I would get Bounty, Swifter, Comet cleaner, Dawn dish cleaner, and Tide detergent. I would stock up on Tide. I'd stock up on Bounty and Charmin. I would stock up on Tide and bounty paper towels. I'd get Charmin and Bounty. I'd stock up on Tide. I would stock up on Charmin and Always ultra thin pads. I would stock up on Bounty towels because we go through a ton! I'd stock up on Tide because we do so much laundry around here! I would really like to stock up on Bounty paper towels. I would stock up on Bounty Paper Towels! I would stock up on Bounty Duratowel, Pantene shampoo and Pampers. I would be stocking up on Pampers and Pantene! I would stock up on Pampers, for my 2 kids in diapers. I'd stock up on Tide, Charmin, and Bounty. I would stock up on Tide! I would stock up on Pantene, Tide, and Bounty. I would stock up on Charmin and Bounty. I am stocking up on Charmin toilet paper and Tide Detergent. I would stock up on bounty and charmin. I will stock up on Charmin & Bounty. I'll stock up on Charmin. I tend to stock up on Tide. I will stock up on Tide and Dawn detergent! I would stock up on Bounty and Tide. I would stock up on Pantene shampoo, conditioner, and Tampax. I would stock up on Tide And Bounty. I would stock up on bounty paper towels, charmin toilet paper, and always pads. I'd stock up on Tide! We use it to wash our cloth diapers. I would stock up on bounty and charmin! I would stock up on Pampers for the grand kids and Charmin toilet paper. I would like to stock up on Tide. I would stock up on Tide and Bounty Towels. I would definitely stock up on Bounty paper towels. I'd stock up on Pampers. You can never have too many diapers. I would stock up on Bounty Paper Towels. Stock up on Tide and Bounty Mega Roll Select-A-Size Paper Towels. Thank you for the giveaway. I would stock up on Tide Simply Clean laundry detergent! I'd stock up on Charmin TP and Bounty paper towels! Hi! I'd stock-up on Tide, Downy, and Charmin. P&G Products are the best! Bounty! We can never really have enough paper towels! I would stock up on paper towels. I would stock up on Bounty paper towels - they are my favorite! I would definitely stock up on Charmin and Bounty that we use a lot. I would stock up on Charmin tp. I would stock up on tide and charmin also. I would stock up on the 2 things I constantly have to buy, Bounty and Charmin! I would stock up on Proctor & Gamble Charmin Ultra Soft Bathroom Tissues - 164 Sheets per Roll / 16 Rolls! I would get Tide and Bounty. I would stock up on tide it's a staple at our house. I would stock up on Bounty paper towels, Charmin toilet paper and Tide laundry detergent. I'd stock up on Charmin Ultra Strong Toilet Paper! I would like to stock up on Bounty and Charmin. I would probably stock up on Always Pads, pampers, and bounty paper towels. I'd stock up on Tide Liquid Laundry Detergent. I would stock up on the TP as we always need that. I would stock up on Bounty paper towels, they're the best! I would stock up on Tide, Bounty and Tampax. We use them all the time! i would stock up on pampers diapers and wipes since i have two in diapers. Tide for sure! It seems like I am always d't laundry!! !